Orion to reopen Blair Athol coal mine in June (0) May 1, 2017 Orion Mining is preparing to restart operations at the Blair Athol coal mine in Queensland next month after it satisfied several conditions required by the state government. Land released for exploration in Bowen Basin (0) April 28, 2017 The Queensland Government has opened more than 270sqkm of land for exploration in the Bowen Basin, set to deliver resources opportunities in the state. Curtin University launches $6.7m research centre to tackle mine rehabilitation (0) April 27, 2017 Western Australia’s Curtin University is collaborating with mining companies at a new $6.7 million research centre to apply world-class science to the rehabilitation of retired mine sites. 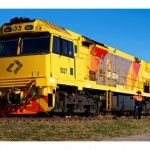 Aurizon reopens Central Queensland coal rail systems (0) April 27, 2017 Aurizon has reopened its Goonyella coal rail system following damage caused by Cyclone Debbie and subsequent flooding in March. 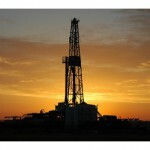 BHP considers selling US shale assets (0) April 26, 2017 BHP Billiton is considering the divestment of its Fayetteville onshore gas field in the United States, the company reported in its latest operational review. Rio Tinto enters mineral sands joint venture in Tanzania (0) April 26, 2017 Rio Tinto has signed a joint venture agreement worth up to US$10.75 million with Strandline Resources for a suite of heavy minerals sands tenements in Tanzania. Caterpillar announces new global headquarters (0) April 25, 2017 Caterpillar has relocated its global headquarters to Deerfield, Illinois in the United States, to become more accessible to its international customers. Liebherr launches boom system for increased load capacity (0) April 25, 2017 Liebherr has released the SX boom system for greater stability and to deliver higher load capacity. Spotless urges shareholders to reject ‘opportunistic’ Downer takeover bid (0) April 24, 2017 Spotless has recommended its shareholders reject a $1.26 billion takeover made for the company by engineering group, Downer EDI. 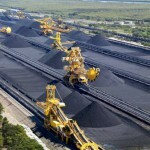 Adani reinforces focus on local content for Carmichael coal project (0) April 24, 2017 India’s Adani has emphasised the importance of sourcing regional suppliers as part of the development of the Carmichael coal mine in Queensland. 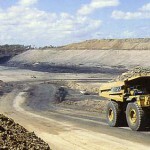 BHP coal project to create hundreds of jobs in Bowen Basin (0) April 24, 2017 BHP Billiton Mitsubishi Alliance (BMA) has approved a $US204 million ($270.1 million) investment in the Caval Ridge Southern Circuit (CRSC) capital growth project in Queensland’s Bowen Basin. Mining moves: Blackham restructures to aid gold production growth, and more (0) April 21, 2017 Australian Mining brings readers the latest corporate appointments and departures impacting the local and international resources industry. Atlas Copco expands global mining offering (0) April 21, 2017 Atlas Copco has expanded its manufacturing plant in India, boosting its productivity solutions for the mining sector. Capricorn copper mine to reopen, nearly 300 jobs to come (0) April 21, 2017 The Queensland Government has granted a prescribed project status to Capricorn copper mine, allowing it to reopen and bring more jobs to the state. Mitchell Services secures Olympic Dam mining services contract (0) April 20, 2017 Mitchell Services has entered a one-year contract to provide mining services at BHP’s Olympic Dam mine in South Australia. Disruptive weather hits Rio Tinto iron ore operations (0) April 20, 2017 Poor weather conditions have disrupted Rio Tinto’s performance at its Pilbara iron ore operations in Western Australia during the first quarter of 2017. NT Govt considers second train at Darwin LNG facility (0) April 20, 2017 The Northern Territory Government is investing $250,000 in a feasibility study to assess the potential of developing a second liquefied natural gas (LNG) train at ConocoPhillips’ Darwin LNG facility. Northern Minerals to invest $56m in rare earths project (0) April 20, 2017 Northern Minerals has approved development of a $56 million pilot plant at the Browns Range heavy rare earths project in Western Australia. Dacian locks in GR Engineering for $107m Mt Morgans EPC contract (0) April 19, 2017 Dacian Gold has executed an engineering, procurement and construction (EPC) contract at the Mt Morgans gold project in Western Australia with GR Engineering. Eastern Goldfields moves Davyhurst towards gold production with $25m raising (0) April 19, 2017 Eastern Goldfields will raise at least $25 million through a share placement to fund commissioning of the Davyhurst gold operation in Western Australia. Tawana Resoures completes Bald Hill joint venture agreement (0) April 19, 2017 Tawana Resources subsidiary Lithco has completed its joint venture partnership agreement with Alliance Mineral Assets for the Bald Hill lithium and tantalum project in Western Australia. WA DMP trials updated minerals mapping system (0) April 19, 2017 The WA Department of Mines and Petroleum is testing a new online version of its Tenegraph mapping system that can determine land available for mineral exploration. Australian mining industry backs move to scrap 457 visas (0) April 19, 2017 Australia’s mining industry has supported the federal government’s plan to replace the 457 Visa program with a new temporary worker immigration scheme. Red 5 suspends operations at Philippines gold mine (0) April 18, 2017 Uncertainty surrounding the mining policy in the Philippines has led Australian-based Red 5 to suspend operations at the Siana gold project. Newcrest gold mine suffers ‘large’ seismic event (0) April 18, 2017 Newcrest Mining has avoided major mine damage and injury to workers at the Cadia gold operation in New South Wales following a seismic event on Good Friday. 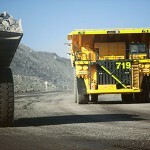 TomCar to invest in study for electric mining vehicles (0) April 18, 2017 Melbourne-based TomCar has partnered with CSIRO as part of a feasibility study surrounding a new demand for zero-emission electric mining vehicles. Queensland’s North West a ‘new frontier’ for rare mineral discoveries (0) April 18, 2017 An area within Queensland’s North West region has been identified as the state’s next frontier of resource investment after geologists found evidence of undiscovered rare minerals. 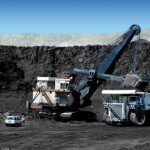 South32 abandons $US200 million Peabody coal acquisition (0) April 18, 2017 South32’s proposed $US200 million acquisition of Peabody Energy’s Metropolitan Colliery in New South Wales has been scrapped due to competition concerns. 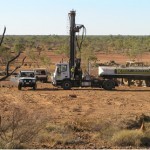 Dacian targets RUC for Mt Morgans underground contract (0) April 13, 2017 Dacian Gold is set to award an underground mining contract at the Mt Morgans gold project in Western Australia to RUC Cementation Mining. NSW mine suspended over failure to pay rehabilitation fees (0) April 13, 2017 A Port Macquarie based mine has been ordered to suspend all mining operations after failing to pay its environmental rehabilitation deposit. 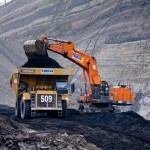 Thiess secures Mount Pleasant mining services contract (0) April 13, 2017 CIMIC Group’s mining services provider Thiess has won a mining services contract for MACH Energy’s Mount Pleasant coal mine in the New South Wales Hunter Valley. Yancoal wins approval for Rio Tinto coal acquisition (0) April 13, 2017 Chinese-controlled Yancoal has secured Australian Government approval for a $US2.45 billion ($3.2 billion) acquisition of Rio Tinto’s Hunter Valley coal division in New South Wales. 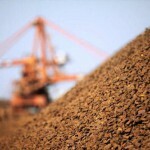 Iron ore price tumbles below $US70 (0) April 13, 2017 The iron ore price has plummeted below $US70 on the back of increased supply as China’s steel demand begins to soften. 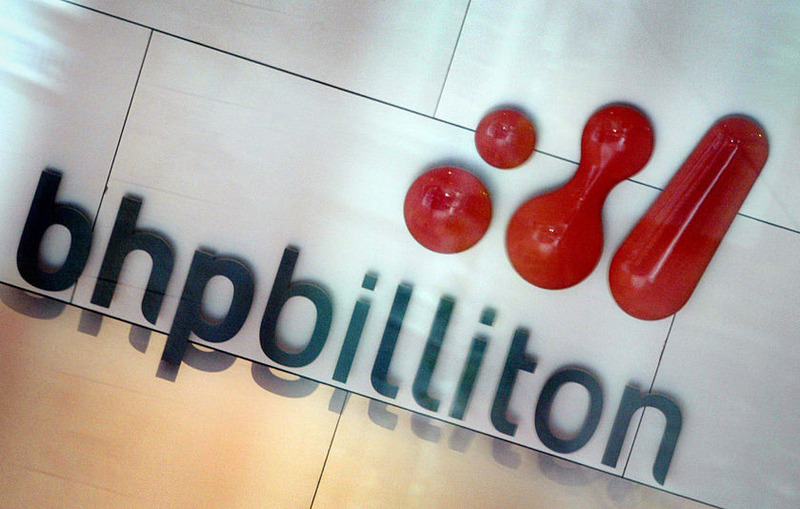 BHP Billiton takes aim at company restructure idea (0) April 13, 2017 BHP Billiton has again shot down a proposal by Elliot Associates to restructure the company. 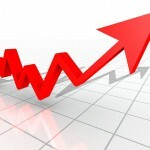 Market value of WA’s listed companies on the up (0) April 12, 2017 The market capitalisation of Western Australia’s listed companies has risen by 1.8 per cent in March, according to a Deloitte’s latest report. Advanced Pilbara shipping system to guide iron ore giants (0) April 12, 2017 Port Hedland, the world’s largest bulk export port, will soon be home to a state-of-the-art shipping management control system that will improve safety, productivity and efficiency at the operation. 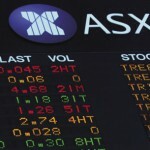 Mining companies deliver strong returns after listing on the ASX (0) April 12, 2017 Mining companies were amongst the top performers of the companies that listed on the Australian Securities Exchanges (ASX) in first quarter 2017. Rio Tinto proceeds with Citadel project farm-in (0) April 12, 2017 Rio Tinto subsidiary Rio Tinto Exploration is going ahead with Stage 2 of the Citadel project farm-in agreement it has with Antipa Minerals. AIMEX gears up for another year (0) April 11, 2017 Registrations have opened for Australia’s most extensive mining exhibition, the Asia-Pacific International Mining Exhibition (AIMEX), which will be held from August 29 – 31 at the Sydney Showground. 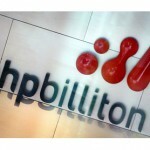 BHP rejects proposal to divest petroleum assets (0) April 11, 2017 BHP Billiton has rejected a proposal from US hedge fund firm Elliott Associates to alter its company structure and divest its US petroleum assets. DMP approves Matsa Resources’ Fortitude gold project (0) April 11, 2017 The Western Australian Department of Mines and Petroleum (DMP) has approved Matsa Resources’ mining proposal and mine closure plan for its Fortitude gold project. 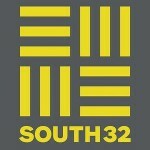 South32, GE enter digital transformation partnership (0) April 10, 2017 South32 has signed a three-year strategic partnership agreement with GE to assist in developing the company’s digital transformation. OZ Minerals enters copper project deal in Portugal (0) April 10, 2017 OZ Minerals has entered an earn-in agreement with Canadian-listed exploration company Avrupa Minerals on its Alvito copper-gold exploration project in Portugal. Rio Tinto pays $4 billion tax in 2016 (0) April 10, 2017 Rio Tinto has paid $4 billion in taxes and royalties in 2016 and made more than $35 billion in direct economic contribution to related communities. Mining moves: Former Newcrest CEO heads to Lithium Power, and more (0) April 7, 2017 Australian Mining brings readers the latest corporate appointments and departures impacting the local and international resources industry. Neometals to sell stake in Mt Marion lithium project (0) April 7, 2017 Neometals has announced its intention to sell its 13.8 per cent interest in the Mt Marion lithium project in Western Australia for around US$96 million ($125 million). 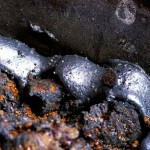 Underground fire affects South32’s Cannington mine (0) April 7, 2017 An underground fire has temporarily affected South32’s Cannington mine in Queensland, delaying mineral extraction at the site. 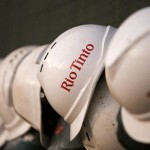 Rio Tinto mines to support more than 1000 jobs in WA (0) April 7, 2017 The development of Rio Tinto’s Silvergrass, West Angeles and Yandicoogina mines are set to support more than 1000 construction jobs in Western Australia. 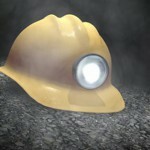 UQ develops online mine rehabilitation resource (0) April 6, 2017 University of Queensland (UQ) scientists, together with Central Queensland coal mine rehabilitation experts have developed an online resource to share knowledge on mine closures and remediation. Large 59.6 carat pink diamond sells for a record US$71m (0) April 6, 2017 The 59.6-carat fancy vivid pink diamond has sold for US$71.2 million ($94 million), the highest price for any diamond item sold at auction in Asia. 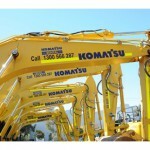 Joy Global to be renamed Komatsu Mining (0) April 6, 2017 Japanese based machinery manufacturer Komatsu has completed its acquisition of Joy Global, expanding its global mining services business. Successful field trial for new South Australian drill rig technology (0) April 6, 2017 A new drill rig technology with the potential to drastically cut exploration costs has undergone successful field trials in outback South Australia. SEW Eurodrive begins nationwide motor and drive program (0) April 5, 2017 SEW Eurodrive has commenced the 2017 calendar for its nationwide motor and drive program DriveAcademy. Western Australia continues to lead Australia’s resources sector (0) April 5, 2017 Western Australia has retained its title as Australia’s top state for resources exploration and investment, attracting 65 per cent of the nations total mineral exploration expenditure. Queensland delivers funding for North West exploration (0) April 5, 2017 Seven mining companies in Queensland have received a funding from the state government to support their exploration activities in the North West. Scientific panel on Samarco recovery efforts to be established (0) April 5, 2017 An Independent Scientific and Technical Advisory Panel will be created this year to support recovery efforts following BHP and Vale’s Samarco mine disaster in Brazil. 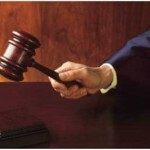 Kingsgate launches claim against Thai Government over Chatree closure (0) April 4, 2017 Kingsgate Consolidated has begun its claim against Thailand’s Government following the forced closure of its Chatree gold mine last year. Komatsu acquires Queensland based mine solutions provider MineWare (0) April 4, 2017 Komatsu’s Australian subsidiary has acquired MineWare, a mining equipment solutions provider based in Queensland. Peabody arises from bankruptcy (0) April 4, 2017 Peabody Energy has come out of Chapter 11 bankruptcy and will begin trading in the New York Stock Exchange under the ticket symbol BTU. BHP’s Queensland coal operations resume after Cyclone Debbie (0) April 4, 2017 Workers have returned to BHP Billiton’s coal mines in Queensland’s Bowen Basin following Cyclone Debbie. Aurizon begins repairs to coal rail systems following Cyclone Debbie (0) April 3, 2017 Aurizon has begun assessing and repairing damage to its coal rail systems, following flooding caused by Cyclone Debbie that affected Queensland last week. Macmahon poised to secure contract for Byerwen coal mine (0) April 3, 2017 Macmahon has been chosen as the preferred mining contractor for QCoal’s Byerwen coal mine near Glenden in Queensland’s Bowen Basin. MACA set for Gruyere gold contract award (0) April 3, 2017 Mining services company MACA has been named the preferred contractor for the bulk earthworks package at the Gruyere gold project in Western Australia. 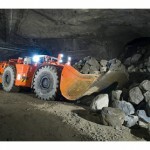 Emeco completes recapitalisation, mergers (0) April 3, 2017 Mining equipment rental company Emeco has completed a recapitalisation and three-way merger with Orionstone and Andy’s Earthmovers. Artemis to launch copper production at Western Australian mine (0) March 31, 2017 Artemis Resources plans to deliver first copper production at the Whundo mine in Western Australia next week. Technology developed for detecting tools in magnetite stockpiles (0) March 31, 2017 Gap Explosive Ordnance Detection (Gap EOD) has developed the UltraTEM, a new technology that can detect buried metal in magnetite stockpiles. Queensland gold operations resume following cyclone Debbie (0) March 31, 2017 Operations have resumed at Resolute Mining’s Ravenswood and Evolution Mining’s Mt Carlton gold mines following Tropical Cyclone Debbie that hit the north Queensland coast this week. Heron secures Woodlawn environmental licence (0) March 31, 2017 Heron Resources has received its environmental protection licence from the New South Wales environmental protection authority (EPA) for proposed construction, mining and processing activities at the Woodlawn zinc-copper project. Mining moves: Energy Resources MD resigns to take Rio role, and more (0) March 31, 2017 Australian Mining brings readers the latest corporate appointments and departures impacting the local and international resources industry. Major project status awarded to NT’s Jervois project, more than 600 jobs to come (0) March 30, 2017 More mining jobs are on the way for the Northern Territory after the territory government awarded KGL Resources’ Jervois copper-silver-gold project a major project status. Atlas Iron, Pilbara Minerals partner for WA lithium projects (0) March 30, 2017 Atlas Iron has entered agreements with Pilbara Minerals over two lithium projects in Western Australia’s Pilbara region. 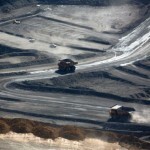 Mining sector accounts for 15 per cent of Australia’s economy: Deloitte (0) March 29, 2017 A new Deloitte report has found the mining and METS sector has accounted for 15 per cent of Australia’s gross domestic product, highlighting its significant contribution to Australia’s economy. 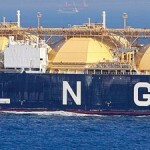 Third train starts at Gorgon LNG (0) March 29, 2017 Chevron has launched production from the third train at the Gorgon liquefied natural gas (LNG) project off the northwest coast of Western Australia. Origin, ENGIE partner to lift gas supply in SA (0) March 29, 2017 Origin Energy has signed two agreements with ENGIE that are set to increase gas supply and energy security in South Australia. Pilbara Minerals’ Pilgangoora project receives key environmental approval (0) March 29, 2017 Pilbara Minerals has received the first of two key environmental approvals for its Pilgangoora lithium-tantalum project in Western Australia, bringing the operations closer to construction. 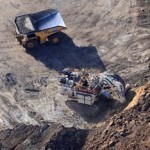 Mining sector beginning to see a turnaround: BCG report (0) March 28, 2017 A new report from the Boston Consulting Group has indicated a current uptick in the mining sector following a turnaround in shareholder returns in ASX 200 companies last year. 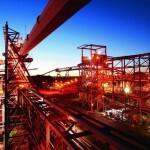 South32 to return $655 million to shareholders (0) March 28, 2017 South32 has announced plans to return US$500 million ($655 million) to shareholders in the form of a buyback, showing positive signs in Australia’s commodity market. Schlumberger to enter joint venture with Weatherford (0) March 28, 2017 Schlumberger has partnered with oilfield service company Weatherford to form OneStim, a joint venture to deliver unconventional resources services to Northern American land markets. 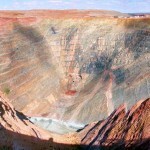 Gwalia extension project given the green light (0) March 28, 2017 The St Barbara board has approved funding for the Gwalia Extension Project, that will extend mining at the gold operations to at least 2000m below the surface in 2024. Queensland to boost METS sector innovations (0) March 28, 2017 Innovations in Queensland’s mining, equipment, technology and services (METS) sector will receive a boost from the state government’s new accelerator program. Glencore welcomes legislative amendments over mine dispute (0) March 27, 2017 Glencore has welcomed Queensland parliament’s legislative changes that have helped sort out a dispute between its Newlands coal mine and QCoal Groups proposed Byerwen project. Spitfire Minerals poised to acquire Admiral Gold (0) March 27, 2017 Spitfire Minerals has entered a conditional share sale and purchase agreement to acquire gold explorer Admiral Gold as it expands its Australian gold portfolio. Largest graded fancy vivid pink diamond to go on auction (0) March 27, 2017 The largest internally flawless, fancy vivid pink diamond the Gemological Institute of America (GIA) has ever graded is going up for action in April this year. SEW Eurodrive opens Mackay service centre (0) March 27, 2017 SEW-Eurodrive has opened a new heavy industrial service centre in Mackay to provide additional support for gear drive customers in Queensland. 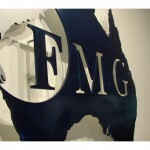 Fortescue to make US$1 billion debt repayment (0) March 24, 2017 Fortescue Metals Group has announced plans to issue a US$1 billion ($1.3 billion) Term Loan repayment as part of its debt reduction strategy. Mining moves: OZ Minerals, Aurizon, Bass Oil (0) March 24, 2017 Australian Mining brings readers the latest corporate appointments and departures impacting the local and international resources industry. 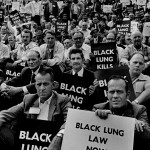 Queensland to roll out more protection measures against black lung (0) March 24, 2017 Reforms have been made to Queensland’s Coal Mine Worker’s Health Scheme in an effort to further protect miners from coal worker’s pneumoconiosis (CWP), or black lung. 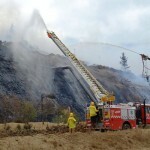 Victoria to appoint Latrobe Valley Mine Rehabilitation commissioner (0) March 23, 2017 The Victorian Government has introduced a bill to appoint a new commissioner to supervise the Latrobe Valley Mine Rehabilitation, following the Hazelwood mine fire in 2014. RCT releases real time fleet management solution (0) March 23, 2017 Smart technology company RCT has unveiled the EarthTrack fleet management solution which provides machine performance data to decision makers in real time. 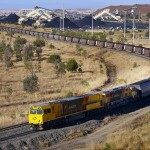 BGC wins $720 million contract for Arrium’s SA iron ore projects (0) March 23, 2017 BGC Contracting has secured a five-year contract worth more than $720 million for Arrium’s Iron Knob and South Middleback Ranges iron ore projects in South Australia. 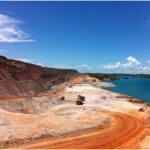 QLD suppliers receive $900 million in contracts for Rio’s Amrun project (0) March 22, 2017 Rio Tinto has awarded more than $900 million contracts to Queensland suppliers during the continued development of its Amrun bauxite project in the Cape York Peninsula. Rinehart reclaims throne as Australia’s richest person (0) March 22, 2017 Mining magnate Gina Rinehart is once again Australia’s richest person after soaring commodity prices over the past year considerably boosted her fortune. 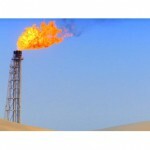 Shell to begin new gas project in Queensland (0) March 22, 2017 Shell Australia has announced the drilling of 161 new wells in Queensland as part of a new project aimed to boost gas supply in the east coast. New WA Government replaces mines minister after a week (0) March 22, 2017 Peter Tinley’s tenure as Western Australian mines and petroleum minister is over after barely a week. Key mining jobs back in demand: One Key Resources (0) March 22, 2017 Labour hire and managed workforce services company One Key Resources is seeing a rebound in demand for qualified mining personnel. Growing number of women applying for engineering degrees (0) March 21, 2017 The University of Sydney has found more women are opting to study engineering and computing undergraduate degrees. Vital to ramp up aggressive gold exploration campaign (0) March 21, 2017 Vital Metals has raised $5 million through a share placement to aggressively expand gold exploration activities at three sites in Burkina Faso, West Africa. Downer unveils $1.3bn takeover bid for Spotless (0) March 21, 2017 Engineering company Downer EDI has launched a $1.26 billion takeover offer for catering and contracting group, Spotless. Empire Resources secures $7.5m funding for gold mine (0) March 21, 2017 Empire Resources has secured $7.5 million in funding for its Penny’s Find gold mine in Western Australia’s Eastern Goldfields, set to take the mine into full production. 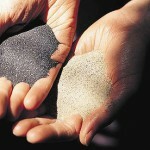 MinRes to form tech joint venture with Hazer (0) March 21, 2017 Diversified mining group Mineral Resources (MinRes) and tech company Hazer Group are planning to form a joint venture to develop a commercial-scale synthetic graphite plant. Worker dies at Savage River mine in Tasmania (0) March 20, 2017 A 32-year-old mine worker has died after a fall from height at Grange Resources’ Savage River mine in Tasmania. South Australia grants gas exploration funding (0) March 20, 2017 The South Australian Government has released the first round of grants for gas exploration and development projects in the state. 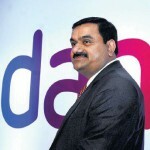 Queensland Premier visit to India adds certainty to Carmichael coal development (0) March 20, 2017 Development of Adani’s Carmichael coal project appears more certain following a visit to India by Queensland Premier Annastacia Palaszczuk last week. Altona’s Cloncurry copper project set to bring nearly 600 jobs (0) March 17, 2017 Altona Mining’s Cloncurry copper project in Queensland is nearing development, after securing more approvals toward its funding. Mining moves: WA Mines Minister, Hexagon, Doray (0) March 17, 2017 Australian Mining brings readers the latest corporate appointments and departures impacting the local and international resources industry. 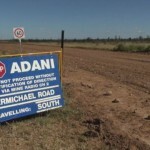 Campaign against Adani coal project misses the point: AMMA (0) March 17, 2017 The Australian Mines and Metals Association (AMMA) has slammed the latest campaign against Adani’s proposed Carmichael coal project in Queensland. Flexco releases wear resistant urethane skirting (0) March 17, 2017 Flexco has released a new product to its line of mineral containment solutions, urethane skirting. 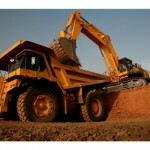 Caterpillar’s latest articulated truck features next generation cab (0) March 17, 2017 Caterpillar has unveiled the Cat 745 articulated truck, which features a world-class cab design, re-engineered from inside-out using global operator feedback to advance comfort and ease of operation. Data driven technologies to transform mining operations (0) March 16, 2017 Data driven technologies are set to transform the way mines are run for several decades to come, according to Dr Penny Stewart, managing director and founder of PETRA Data Science. Global governance system needed to address minerals demand: study (0) March 16, 2017 New research has called for a global resource governance framework to address the growing demand for minerals. Metro bauxite mine to employ 200 in North Queensland (0) March 16, 2017 Metro Mining is preparing to launch construction of the Bauxite Hills mine near Weipa in North Queensland in July. Peabody signs wastewater treatment contract for NSW coal mine (0) March 16, 2017 Peabody Energy has signed a contract with wastewater solutions provider SciDev to provide an OptiFlox treatment system at its Wilpinjong coal mine in New South Wales. About 800 workers stood down at Ichthys LNG project (0) March 15, 2017 Laing O’Rourke has demobilised about 800 of its people from the $46 billion Ichthys liquefied natural gas (LNG) project near Darwin because of a pay dispute. 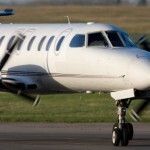 AMMA opposes Queensland’s proposed FIFO regulations (0) March 15, 2017 The Australian Mines and Metals Association (AMMA) has opposed the Queensland Government’s plans to enforce greater regulations on fly-in fly-out workers in the state. Seek hosts 500 jobs for mining engineers in WA (0) March 15, 2017 The volume of mining jobs being advertised in Australia continues to significantly outpace what was on offer in 2016, according to the latest data from online jobs portal Seek. WA DMP appoints first mental health and wellbeing inspector (0) March 15, 2017 The Western Australian Department of Mines and Petroleum (DMP) has appointed its first mental health and wellbeing inspector of mines, Amy Douglas-Martens. New WA Government threatens future of uranium industry (0) March 15, 2017 Western Australia’s new government has been urged to support the ongoing development of uranium projects in the state. Online counselling service offered for SA mine workers (0) March 15, 2017 A free online counselling service is being offered to South Australian mining and quarry workers in an effort to relieve mental health issues. Apollo Minerals acquires French tungsten project (0) March 14, 2017 Sydney-based Apollo Minerals has acquired Ariege Tungstene SAS, which holds an 80 per cent interest in the Couflens tungsten-copper-gold project in the south of France. Perseus receives funding to boost growth strategy (0) March 14, 2017 Perseus Mining has secured US$60 million ($79 million) of debt financing from Macquarie Bank to fund its gold operations in Africa. Geoscientist employment recovery slows down (0) March 14, 2017 The improvement in employment prospects that Australia’s geoscientists experienced during 2016 came to an end in the final quarter of the year, according to the Australian Institute of Geoscientists (AIG). 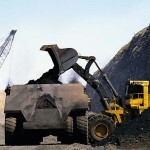 Coal and gold deals on the way for Australian mining (0) March 14, 2017 Australia’s mining industry can expect an increase in mergers and acquisitions (M&A) this year, especially in the coal and gold sectors, according to Herbert Smith Freehills. Caterpillar unveils MD6250 blasthole drill (0) March 14, 2017 Caterpillar has launched the MD6250 blasthole drill, which it says delivers optimum drilling efficiency in single- and multi-pass applications for both rotary and down-the-hole modes. Orion Gold enters joint venture with Independence Group (0) March 13, 2017 Orion Gold has entered a joint venture with Independence Group (IGO) for the Fraser Range nickel-copper project in Western Australia. 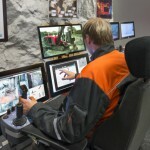 Sandvik, IBM partner to bring advanced analytics for mining sector (0) March 13, 2017 Sandvik Mining and Rock Technology has partnered with IBM to develop data driven productivity and predictive maintenance services for the mining and rock excavation industry. Rio Tinto launches Central Queensland University scholarships (0) March 13, 2017 Rio Tinto has launched its Central Queensland University scholarship program for 2017, available to first year science and engineering students at the university’s Mackay campus. 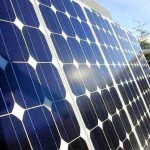 RCR Tomlinson wins EPC contract at Gannawarra Solar Farm (0) March 13, 2017 RCR Tomlinson has secured a contract to provide engineering, procurement and construction (EPC) and operation and maintenance (O&M) services for the Gannawarra Solar Farm in Victoria. Researchers develop method to detect mercury using gold (0) March 13, 2017 Researchers from the Tyndall National Institute based at the University College Cork, Ireland, are developing a method for detecting mercury using gold. 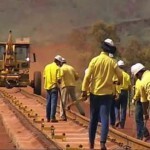 Thousands of mining jobs on the way for the NT (0) March 10, 2017 The Northern Territory Government has signed Project Facilitation Agreements (PFA) for two mining projects, set to bring more than 2000 jobs to the territory. Mining moves: Rio Tinto, Ausgold, Volvo (0) March 10, 2017 Australian Mining brings readers the latest corporate appointments and departures impacting the local and international resources industry. Another Queensland worker diagnosed with black lung (0) March 10, 2017 The number of mine workers diagnosed with black lung in Australia has risen, with the 20th case confirmed in Queensland. Curtin University mining program ranks second in the world (0) March 10, 2017 Western Australia’s Curtin University has ranked second in the world for its mineral and mining engineering program in a global survey that analyses popular subject areas. Rio Tinto confirms retirement of chairman du Plessis (0) March 10, 2017 Rio Tinto has officially announced that Jan du Plessis will retire as chairman. Rio Tinto chairman to step down (0) March 9, 2017 Jan du Plessis will reportedly step down as Rio Tinto chairman, a position he has held for eight years. 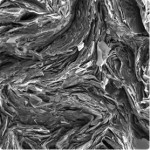 Lithium Australia denies using toxic chemicals to develop technology (0) March 9, 2017 Lithium Australia wants to bust a myth that a process it is developing for lithium recovery uses toxic reagents. 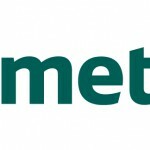 Metso unveils cost-cutting minerals processing technology (0) March 9, 2017 Metso has launched a new rock crushing technology, which it says cuts operational costs by 10 per cent and enables 10 per cent higher uptime compared to traditional cone crushers. Intermin Resources acquires Echo’s Anthill gold project (0) March 9, 2017 Intermin Resources has entered an agreement with Echo Resources to acquire the Anthill gold project northwest of Kalgoorlie-Boulder in Western Australia. 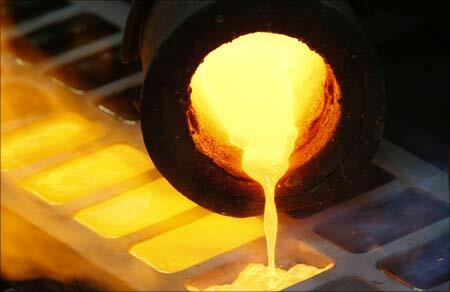 Newcrest enters deal for Alice Queen copper-gold project (0) March 9, 2017 Alice Queen has entered a heads of agreement with Newcrest for a proposed farm-in on its Mendooran copper-gold project in New South Wales. Fortescue’s latest iron ore vessel arrives at Port Hedland (0) March 9, 2017 Iron ore miner Fortescue Metals Group has welcomed its second ore carrier – FMG Grace – into Port Hedland. Takeovers Panel clears the way for Macmahon Indonesian deal (0) March 8, 2017 The Takeover Panel has decided not to become involved in Cimic’s proposed acquisition of Macmahon Holdings. Maptek launches smaller, lighter laser scanners (0) March 8, 2017 Maptek has unveiled the third generation I-Site XR3 and LR3 laser scanners – a smaller, lighter model offering an improvement in range capability while retaining reliability and usability. 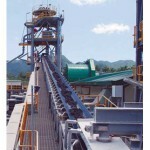 RPM delivers new mining work management solution (0) March 8, 2017 Tech company RungePincockMinarco (RPM) has launched its latest product – Operations Manager. Hexagon unveils GeoLogic for geological modelling (0) March 8, 2017 Hexagon Mining has introduced GeoLogic, a new product for the mining industry that leverages the power of implicit modelling by sequencing surfaces and solids to create an airtight geological model. 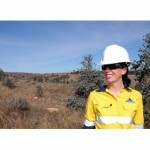 Queensland project to identify gender diversity opportunities in mining (0) March 8, 2017 Mackay-based association Resources Industry Network (RIN) is calling for the local business community to participate in a gender diversity research project. Ravenswood mining restarts, jobs on the horizon for Queensland (0) March 7, 2017 Resolute Mining’s Ravenswood expansion project has taken a crucial step forward with the Queensland Department of Environment and Heritage Protection providing the final environmental approval. 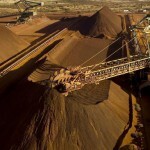 Iron ore price falls below $US90 a tonne (0) March 7, 2017 The iron ore price has dropped to its lowest mark in almost a month after falling below $US90 a tonne overnight. Programmed targets employment for 5000 Indigenous Australians (0) March 6, 2017 Mining services provider Programmed has set a goal to employ 5000 Indigenous Australians across its operations. 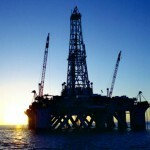 BHP inks oil deal with Pemex Mexico (0) March 6, 2017 BHP Billiton has signed a contract with Pemex Exploration & Production Mexico to finish work on the Trion discovery in the deepwater Gulf of Mexico. Dacian to award Mt Morgans EPC contract to GR Engineering (0) March 6, 2017 Dacian Gold is set to award the engineering, procurement and construction (EPC) contract for its Mt Morgans gold project in Western Australia to GR Engineering. Mulga Rock uranium project receives final approval (0) March 6, 2017 Vimy Resources’ Mulga Rock uranium project has been approved by minister for the environment and energy Josh Frydenberg; the final approval required before beginning production. Metso invests in Australian manufacturing to meet mining demand (0) March 6, 2017 Metso is expanding its global manufacturing capacity for rubber screening media used in minerals processing by investing in three new injection presses, including one for its Australian facility. 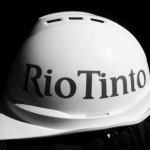 Rio Tinto slashes more jobs at Queensland aluminium smelter (0) March 6, 2017 Rio Tinto is cutting more jobs and production at the Boyne aluminium smelter at Gladstone in Queensland. Miners must embrace the digital revolution: Deloitte (0) March 3, 2017 Deloitte is encouraging mining companies to put digital thinking at the centre of their business strategies and practices to help positively transform decision making. 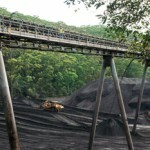 NSW Greens coal plan to cost thousands of jobs: Minerals Council (0) March 3, 2017 A Greens plan to shut down New South Wales’ coal industry has been slammed by the state’s leading mining body. Mining moves: BC Iron increases size of board, and more (0) March 3, 2017 Australian Mining brings readers the latest corporate appointments and departures impacting the local and international resources industry. World’s largest new diamond mine begins production (0) March 3, 2017 The world’s largest new diamond mine Gahcho Kue, located in Canada’s North West Territories, has begun commercial production. Lulo diamonds sell for more than $9 million (0) March 3, 2017 Lucapa Diamonds has sold $9.1 million worth of diamonds from its Lulo project in Angola at the completion of its second sale for 2017. 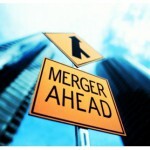 CIMIC takeover tussle with Macmahon intensifies (0) March 3, 2017 The back-and-forth takeover battle between leading contractor Cimic and its target Macmahon Holdings continues as the suitor’s bid edges towards closing next week. Attila Century zinc mine acquisition to generate Queensland jobs (0) March 2, 2017 Attila Resources has entered an agreement with MMG to acquire the Century zinc mine in north west Queensland.